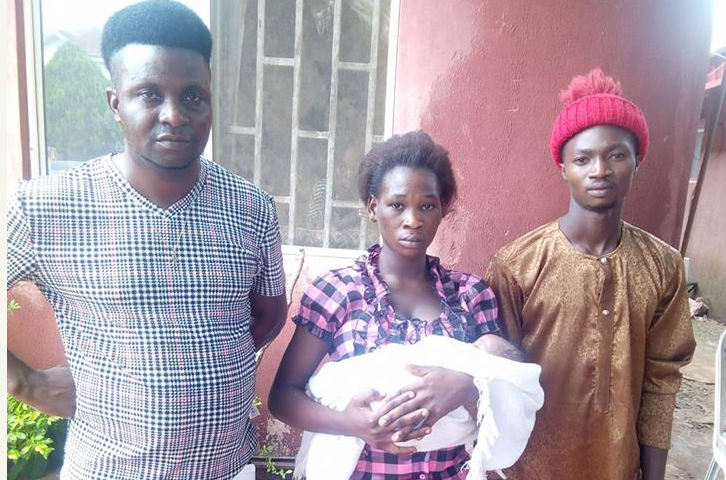 According to unconfirmed reports trending online, two men are claiming to be the biological father of a baby after their lover gave birth in Idunowina District, Ugboko, Edo State. A Facebook user, Monday Ogbeide shared the story online and insisted it's a true story that happened on Sunday, May 13th - two days ago. Wonder shall never end. It happened at Idunowina this afternoon, this two men are claiming d ownership of this innocent child as biological father. The question now is that who is d actual father. Well, the woman standing in between them with the baby can answer that.